So what makes this mascara different? The obvious is the fact that when you click open the lid, it automatically starts vibrating in your hand, which is a bit weird. Next, the application. You don’t actually feel the vibrations through the brush onto your eyelashes, but the thing is, these vibrations ensure no horrible clumps, which is a great start and they really separate your lashes! There’s excellent coating of the lashes, not too much but enough that you’re not going back 5 minutes later to top them up. The bad news. It’s €38. Wha? Yes, it’s €38. S’pensive, no? I’m not sure I’ll part with my hard earned cash in the future. The fabulous [non vibrating] Lancome Virtuose is a tenner cheaper and, and I’ll stick my neck out here, just as good. 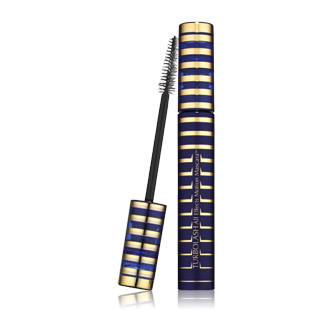 And then the killer blow – it’s RRP on the official Estee Lauder website is $32 or only €25 at the current exchange rate. So, I may not add a mascara to my vibrating collection in the future but all gifts will be gratefully accepted. This entry was posted in Beauty Me Full and tagged Beauty. Bookmark the permalink. Well now i got the Lanome one and its shite… think i am going to be allergic to it (ahem) and have to bring it back!